What Is It REALLY Like To Work With Angelina Jolie? Angelina Jolie may maintain a reputation as one of the biggest stars in Hollywood, but new pictures show the Oscar-winning star in her true character… and she looks like a hoot. Pictured on set of her new film Unbroken, which she is directing and producing in Australia, Angelina is seen giggling and relaxing with cast and crew. She may be dressed in head-to-toe black once again, but the mother-of-six looks calm and approachable as she calls the shots on set. Unbroken retells the life of Louis Zamperini, an Olympic runner who spent 47-days marooned on a raft after his plane crashed in the Pacific during World War II. Angelina has become close to ‘Louie’ during the film’s production, and previously shared this heartwarming snap of them together. It gets us every time! Embracing the 40s fashion into her own wardrobe, Angelina teamed an elegant midi dress with flats and aviators, while working in a fierce power pony for good measure. If the finished film is half as good as the behind-the-scenes pictures, we’re going to love it. 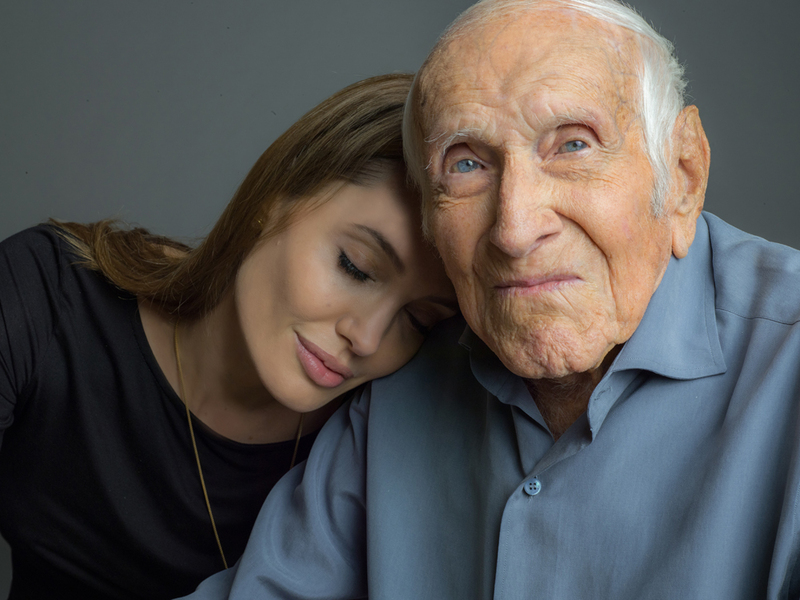 Unbroken is set for release in December 2014. Are you excited to see it?